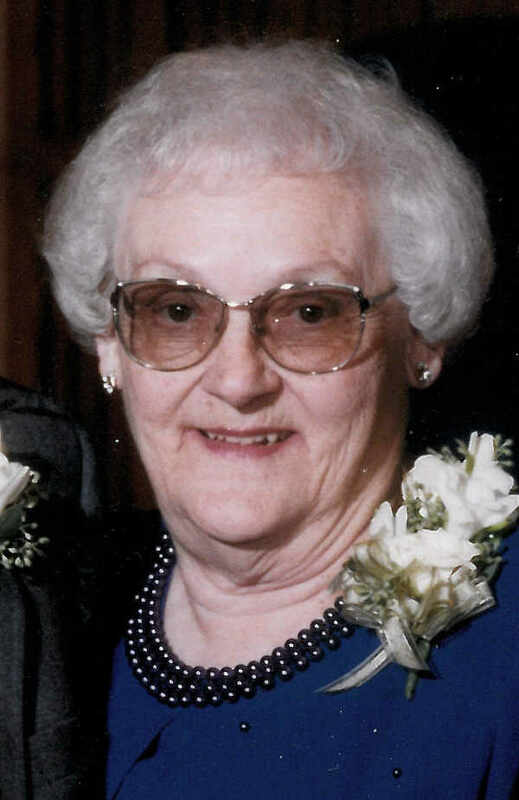 OTTOVILLE — Louise Margaret “Sis” Alt, 96, passed away on Thursday at Mercy/St. Rita’s Medical Center. Sis was born on Oct. 18, 1922, in Ottoville to Andy and Matilda (Schmitt) Altenburger, who preceded her in death. She married Basil V. Alt on June 27, 1946, in Ottoville. He also preceded her in death. She is survived by one daughter, Cynthia (Daniel) Kimmet of Toledo; three sons, David (Jeanie) of Archbold, Darrell (Jenny) of Holland, Ohio, and Donald of Ottoville. Also surviving are grandchildren, Kim(Jamie) Sweeney, Kelly (Todd) Pike, Mimi (Luke) Suter, Andy (Jamie) Alt, Alison (Jordan) Ross, Aaron (Christine) Alt, Nick (Lindsey) Alt, Lindsey (Rob) Reel, Ashley (John) Scholtz, Matt Alt and Betsy Alt, Jessica Gronas; step-grandchildren, Jennifer (Jeremy) Strapp, Julie (Shawn) Grime, and Jon (Anna) Dieringer; and 19 great-grandchildren and six step-great-grandchildren. She is further survived by two brothers, Paul “Duck” Altenburger and Donald “Tiner” (Betty) Altenburger; one sister Irene Stechschulte; and many nieces and nephews and a few cousins. She is also preceded in death by a daughter in-in-law, Darlene (Walbolt) Alt; brothers, Harold “Tack,” Hubert “Hups,” Jerome “Whitey” and Wilbur “Bill”; a sister, Dolores “Dolly” Friemoth; and in-laws, Evelyn Altenburger, Velma Altenburger, Dorothy Altenburger, Bettie Altenburger, Sally Altenburger, William “Wid” Stechschulte and Richard Friemoth. Sis was a graduate of Ottoville High School, class of 1940. As a young girl, she helped run the Ottoville telephone switchboard, which was located in her parents’ home for a number of years. She also assisted her husband in several businesses, including the Twin Towers Drive in Ottoville and the Music Center in Delphos. In Basil’s later years, she “chauffeured” him to many meetings and numerous music lessons he taught in his students’ homes around the area. Sis always said, “There’s no place like home,” and thanks to the devoted and tender care of her youngest son, Don, she was able to remain in her home until her passing. Mass of Christian Burial will begin at 1 p.m. Tuesday at Immaculate Conception Catholic Church in Ottoville, the Very Reverend Jerome Schetter officiating. Burial will follow in St. Mary’s Cemetery, Ottoville. Visitation will be held from 2-8 p.m. on Monday and again from 11 a.m. to 12:30 p.m. Tuesday at Love-Heitmeyer Funeral Home, Jackson Township. A scripture service will be held 1:45 p.m. Monday at the funeral home.